Hyderabad: The ICT4D Data Jam on May 12 and 13 in Hyderabad is set to welcome the 75 best hackers – whether data entrepreneurs, data analysts, IT professionals or academics – who over 48 hours will put data to work to find solutions to how technology can better address the development challenges facing India today. Winning teams will each win up to US$1,000 and the chance to get access to up to US$15,000 in donated business and consultancy services as well as membership at the newly-opened ICRISAT iHub. At the ICT4D Data Jam, hackers will be set an agriculture and environment challenge and provided with related datasets and APIs to hack solutions in the 48-hour period. Participants will think through tough questions about how technology and data can meet the needs of farmers and the environment, and how we can overcome common pitfalls of “tech for ag” projects. Most feel farming is a labor-intensive profession, but the reality is that agriculture is a data-led enterprise. 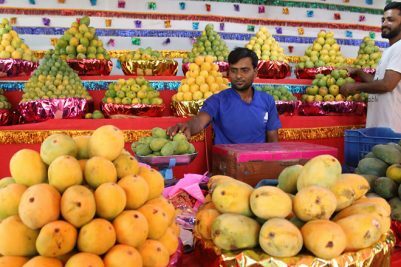 Farmers need to consider many variables to manage profit and risk. Their choices in turn have innumerable knock-on effects on the health, economies, and educational outcomes of their communities. But advances in technology can make this process easier and more effective for them and their communities. The ICT4D Data Jam is being held in partnership with the ICT4D Conference, ICRISAT, aWhere, GDA Group, A-M-Z Group and the Hack4Farming series. For more information and to register visit: http://www.hack4farming.com/hyderabad2017. 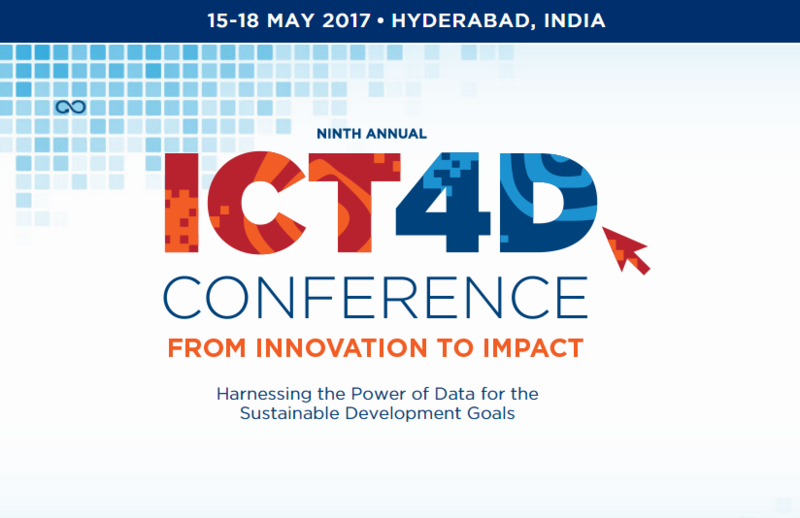 The 2017 ICT4D Conference will be held in Hyderabad, India 15-18 May 2017. It is focused on the ways in which technology solutions are allowing us to harness the power of data in accelerating the achievement of the United Nations’ Sustainable Development Goals. 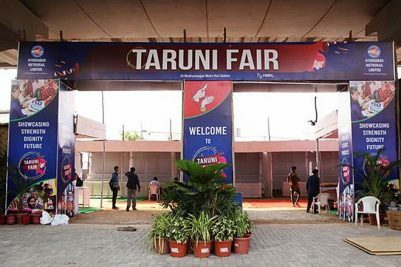 Over 1,000 individuals are expected to attend the conference—technical experts from a myriad of disciplines, representatives of governmental, non-governmental and private sector organizations, individuals from countries across the globe.